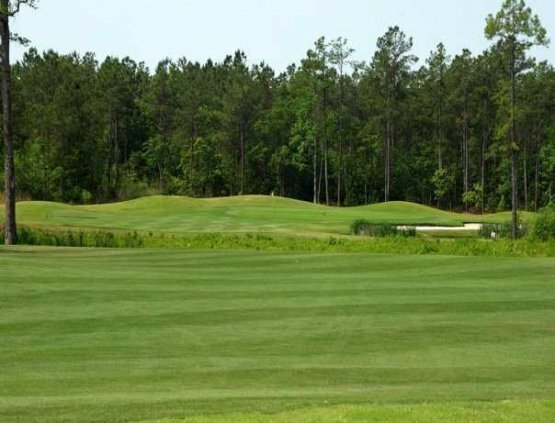 Noted golf course architect, Russell Breeden, designed this North Myrtle Beach golf course with the intent of using the wonderful South Carolina Lowcountry woodlands as the perfect backdrop to this modern South Carolina designed golf course. The fairways of Diamond Back wind through this natural setting and lead to wonderfully maintained Jensen Ultra Dwarf greens. The course plays a little over 6,900 yards from the tips and is a challenge for even the most expert players with strategically placed bunkers and water hazards. Doglegs demand that you be able to work the ball to give you the best approach to the greens. Diamondback is located just a few minutes from North Myrtle Beach off Hwy. 9. After enjoy Diamondback and all of the wonderful South Carolina nature be sure to stop in North Myrtle Beach and check out any of the great North Myrtle Beach attractions, North Myrtle Beach restaurants and don’t forget about the famous OD Section of North Myrtle Beach and its fantastic assortment of shag clubs. Be sure to plan your South Carolina vacation today and don’t forget to include Diamondback Golf Course along with your other choices of Myrtle Beach golf courses in your Myrtle Beach golf package.